This product is available in Amazon.in, Tatacliq, Flipkart, Snapdeal. 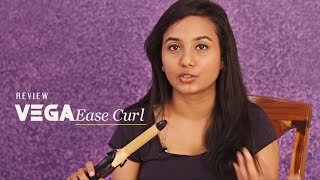 At amazon.in you can purchase Vega VHCH-02 Ease Curl, 25mm Barrel for only Rs. 1,039, which is 23% less than the cost in Snapdeal (Rs. 1,354). The lowest price of Vega VHCH-02 Multi Stylers Black and Brown was obtained on April 25, 2019 9:39 am. Covers specific details on what would actually the warranty cover. Decent product for this value.curls comes out of medium size. I have thin medium length hairs, it works well for me. Easy to handle. It doesn’t have a temperature controller, so that’s a negative. But it’s a decent but. Not the best though.